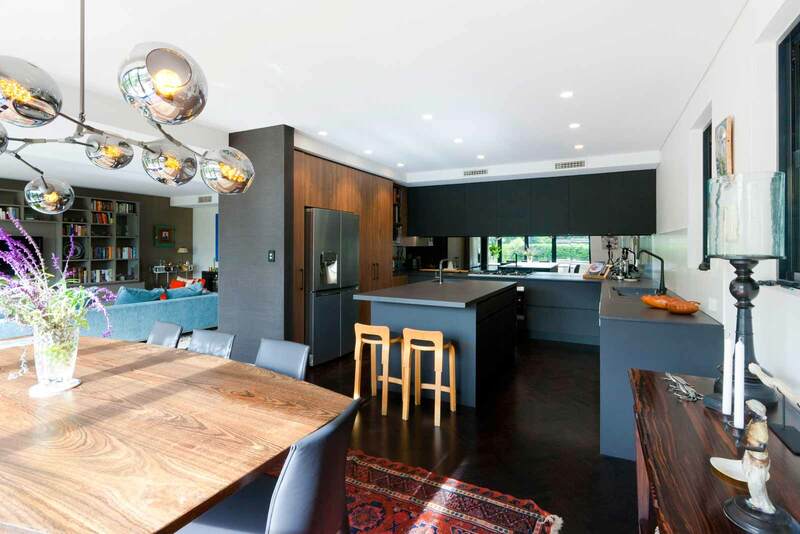 The deep, rich tones in this kitchen adds a refined decadence to the Bellevue Hill home, which is full of character and eclectic artwork. 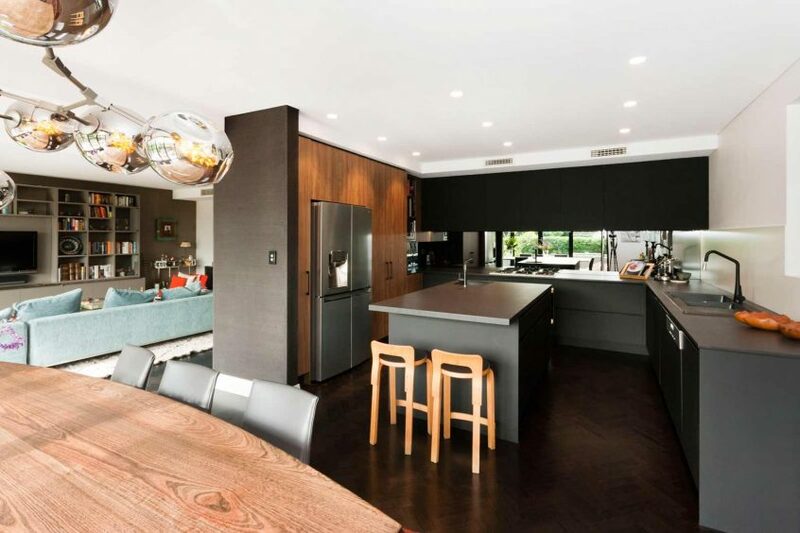 The owners were after something edgy to suit their unique taste and were very pleased with the result. 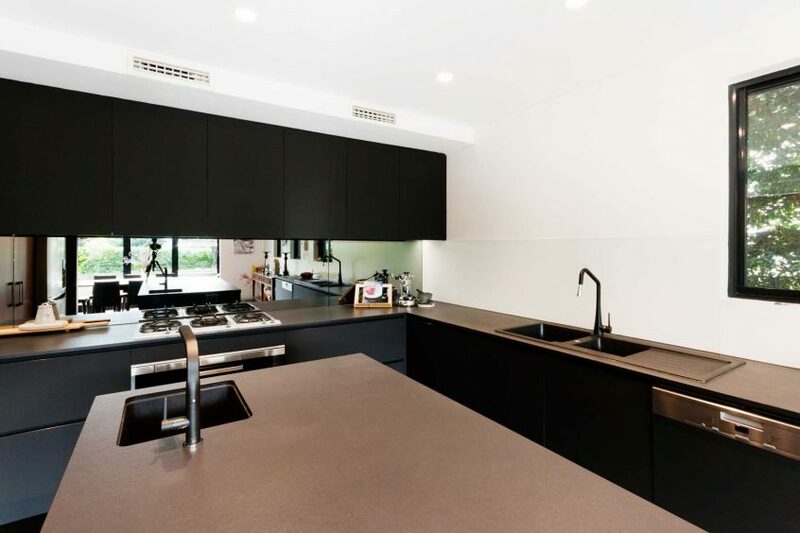 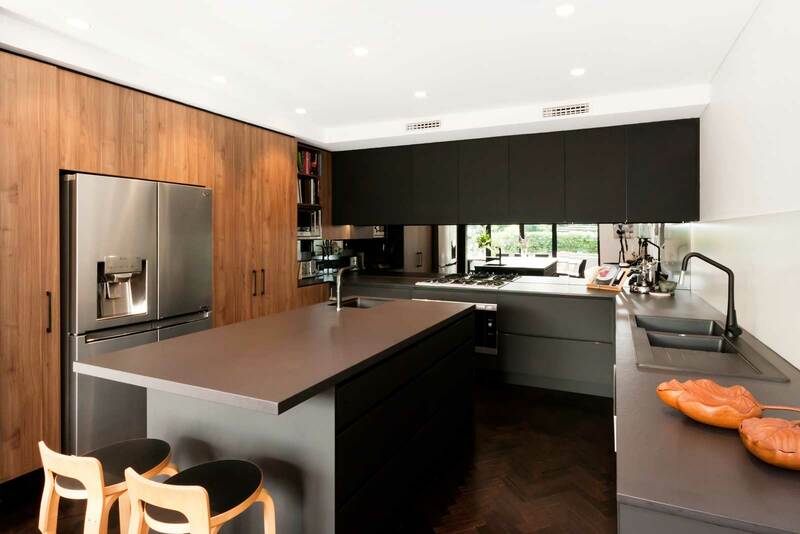 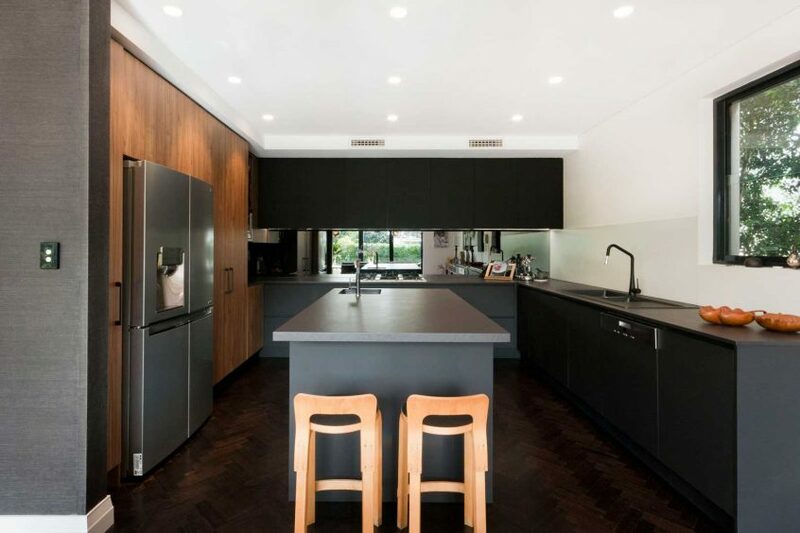 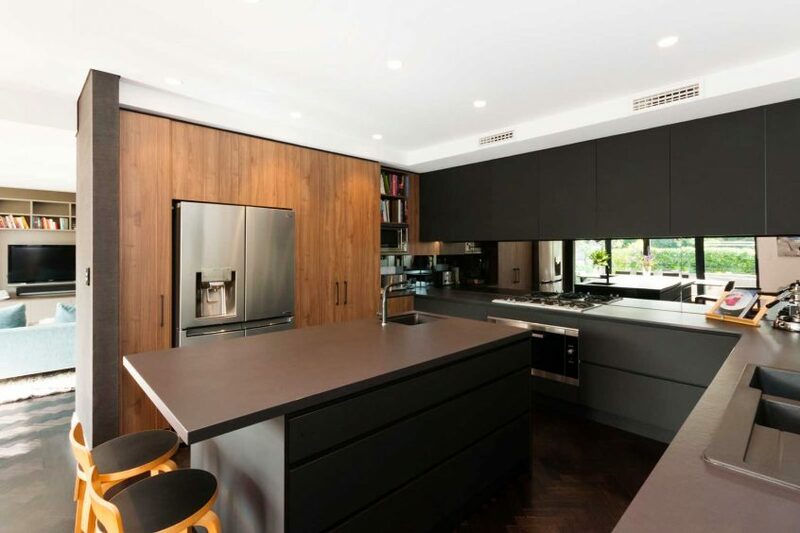 We love the warm timber accents and the stunning Dekton benchtop that ooze sophistication.